PANDORA 21 Years of Love Pendant Charm. 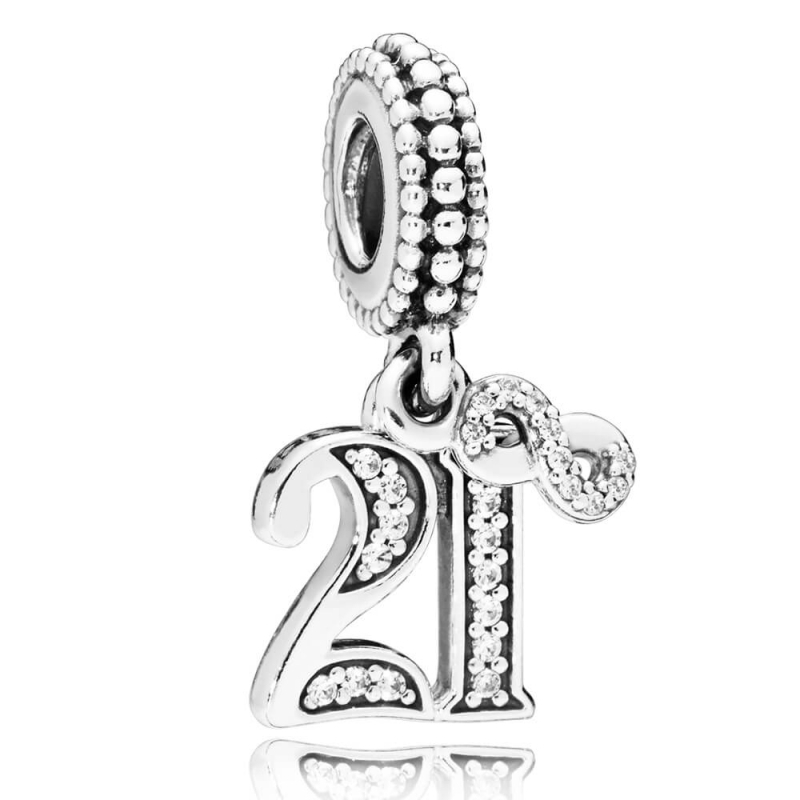 Commemorate a significant and special 21st birthday with this beautiful dangle charm from PANDORA. Made from sterling silver, a glittering number 21 is adorned with glittering cubic zirconia stones and accompanied by a small eternity symbol - to remind you always of how special an occasion it really is. Asked for gift wrap. Is lovely but means I haven't been able to see goods yet. Thought it was going to be "provided" rather than "done"
Lovely 21st Pandora Charm that my Niece absolutely loved!